Battle buses are being arranged to take outraged residents to Hailsham next week when an application to build 68 apartments and houses on land owned by Wealden and East Sussex councils is heard by the District Council’s Planning Committee. I am very disappointed that Wealden and Abbey have taken none of the points we have made into account, even though we have put forward a credible plan which preserves public car parking and provides the essential buffer zone between any development and the Community Centre. Let Wealden be in no doubt that Community Centre volunteers and the CCA Board of Trustees are going to find it very difficult to continue to make the Centre a success if this plan goes ahead in its current form. The CCA finds it insulting that the Centre is being undermined by organisations that clearly do not put any value on the enormous amount of voluntary time given to making the Community Centre a success and a vibrant contribution to Crowborough’s community spirit and vitality. In my own opinion, I believe there will still be ample parking space in the town centre to support the Community Centre while allowing for the development to take place. This will provide much-needed new homes for the area. The transport consultants working on behalf of the developer carried-out parking surveys on three days last March. Their latest Transport Statement concluded that the loss of parking as a result of the proposed development will not have a detrimental effect on on-street parking. They argue there is potential to park 25 cars on the A26 Beacon Road. The application sights the Pine Grove car park for alternative parking but this is not a public car park. 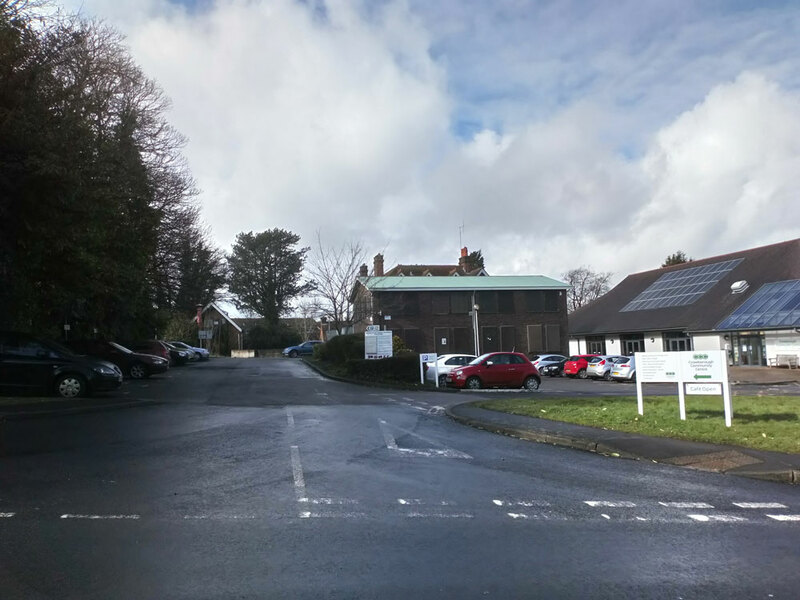 It is a private car park owned by Crowborough Town Council that has been allocated to the Business Hub which will be fully occupied once opened later this year. Consequently it should not be excluded from parking provision considerations. The Chamber recognises and supports the need for affordable housing in Crowborough but does not feel that this site is the best one for this density of dwellings. The loss of car parking will be of detriment to the town centre, especially once the Pine Grove Offices are fully operational and demand for parking inevitably increases. At the time the officer’s report was written, further responses to the revised scheme from the Town Council and Highway Authority were outstanding. These have now both been received and are available to view on the authority’s planning portal (under “Consultee response” they are dated 26th and 27th March). Wealden District Council have told CrowboroughLife that the Town Council’s objection about the loss of parking is not accepted by the Highway Authority. They have said it is not a new point and is not a sustainable basis on which to resist the application. The objection from the Highway Authority is with the developer. Abbey Developments Limited have advised planning officers that their response will be to omit the Mill Lane access and the developer will issue a revised plan to the Highway Authority for comment in time for the Planning Committee on the 5th April. Wealden District Council has said the rest of the concerns set out by the Highway Authority can be controlled by planning conditions ie they can be resolved, rather than trigger a refusal of permission. Click to see the agenda and reports for the meeting of Planning Committee North on Thursday 5th April. Also under consideration at the same meeting is an application for eight new homes on Blackness Road and a scheme to demolish Harecombe Manor and build a new extra care facility. There are a significant number of people who will struggle to walk from the Town centre car parks yet do not qualify for a blue badge under the much tighter assessments. That is not a solution. To anyone with a grain of common sense, who has actually visited the proposed site, it must be blindingly obvious that the developed proposed would have a serious detrimental effect on the success of the Community Centre. Flats built within 12 metres of the Community Centre? Alternative parking on Beacon Road and in Goldsmiths Avenue on the other side of Beacon Road? The loss of 99 long-term public car parking spaces just as Crowborough’s Enterprise Centre is about to be established on the same site? It’s complete nonsense. Abbey Developments and Wealden are focused on one thing only: maximum financial gain without a thought for what is best for Crowborough or what Crowborough residents want for their town. The transport consultants obviously did not visit Crowborough at such a time when traffic backs up from The Cross traffic lights to the junction of Mill Lane. This happens several times a day and to suggest 25 cars parking on th Beacon Road would be ludicrous. Whereabouts are they suggesting on Beacon Road?. ALso Goldsmith Avenue is suggested. This is a busy junction with Beacon Road as cars drive around this way to avoid the long delays on London .road approaching the Cross Junction. It is suggested parking in Pine Grove Enterprise Centre but as Mr Bishop points out this will not be a public parking area but is for the centre. Do the “Consultants” not read the information they are given.? A lot of older people visit the Community .centre and it is too far to come across from the main car park which is usually full during the day. Pure greed is at the centre of all this. No consideration for the Residents of Crowborough or their safety suggesting quite unsuitable parking alternatives.